As a part of the general fun last night at the O’Mahoney-Dusek wrestling draw, the athletic commission right after the “sound and fury” held up the purse of the champion and Dusek, Ellwood Rigby, the promoter, announced. Final decision was reserved until today, Rigby announced. 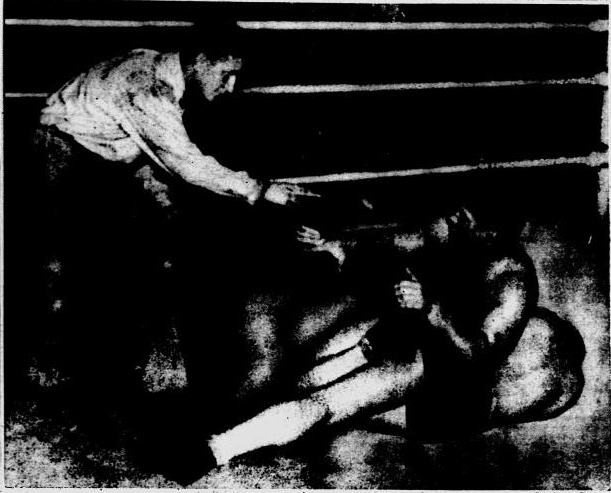 Shortly before his title match with champion, Danno O’Mahoney, was stopped when a flock of policemen jumped into the ring, Challenger Ernie Dusek got plenty rough, or so referee Dickerhoff though. Dusek was duly warned of this but Mr. Dusek didn’t care to be warned about it, and so told Mr. Dickerhoff while applying a toe hold on the disinterested O’Mahoney. The above shows the argument in full bloom, with no sound effect. The wrestlers’ purses were held up by the boxing commission. Jump Into Ring After O’Mahoney and Dusek Refuse To Halt When Bout Is Called Draw By Referee. ERNIE DUSEK… He and his brothers are coming to town. 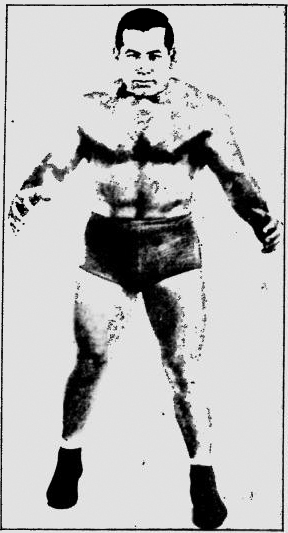 NEW YORK – Those in command of the main body of heavyweight wrestlers are said to have decided upon the successor of Danno O’Mahoney as champion. The fortunate young behemoth is reported to be Ernie Dusek, of the Four Omaha Duseks.